Run this daily routine checklist every day to ensure you make the most of your time. 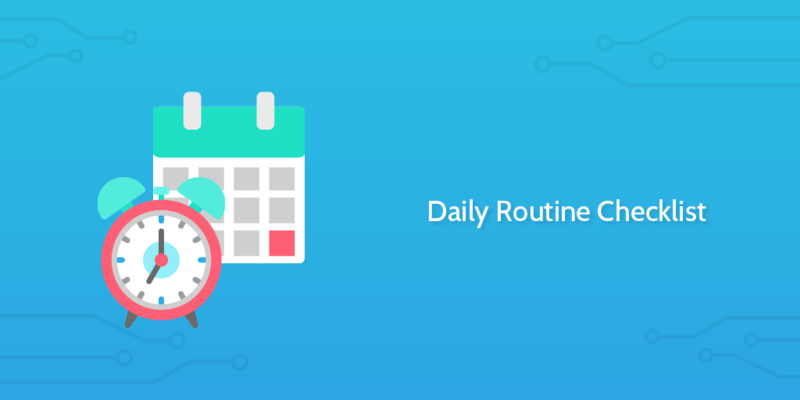 By scheduling this Daily Routine template to run every day you can stick to your targets and get the most out of every day! Whilst you can easily find access to any number of blog posts showing the daily routine checklist of figures such as Richard Branson, Barack Obama or even Benjamin Franklin, there is one important fact that is ignored if you simply take these and use them yourself. However much we'd like otherwise, we are not Richard Branson, Barack Obama or Benjamin Franklin. Therefore, the daily routine you actually need, and will be provided in this checklist, is your daily routine. By sticking to a daily routine checklist rather than wasting precious time each day, you can vastly increase your productivity whilst also finding more time to do the things you love and see the people most important to you. A bright start is a good start! 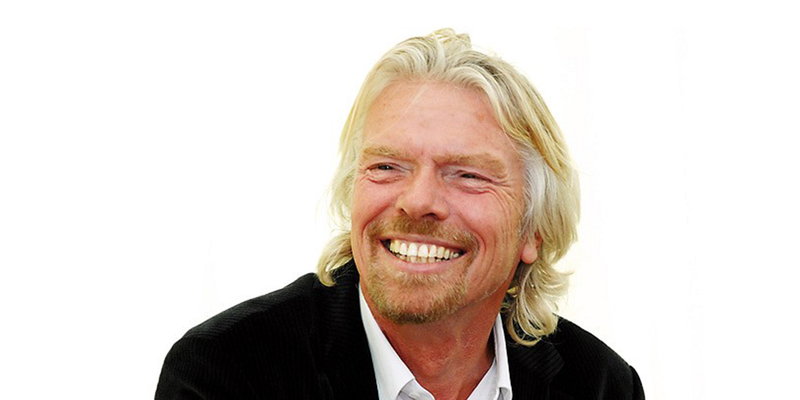 As many successful individuals such as Richard Branson swear by this mindset, you need to wake up early to start your day the right way. Record the time and date you woke up when running this checklist in the form field below. Ideally, you need to wake up a good few hours before you start work, and so this is usually anytime between 5 and 7am. This will give you enough time to get yourself in the best possible mindset before starting the daily grind. Also, by recording the time you woke up every day whilst running this checklist, you can keep a tally of when you managed to hit your targets! Whether you go swimming, jogging, hiking, cycling or even stay at home and perform yoga, exercising after you get up is a must. Record the length of time you spent exercising and the type of exercise you did before work today in the form fields below. Spend roughly 30 minutes exercising every morning in order to give yourself a boost out of your groggy morning state. The endorphins will make you feel better, the exercise will wake you up, your body will become healthier and all of this can be done completely for free! You can't work effectively if you don't have the fuel stored up to buoy you through! Make sure you have breakfast and a glass of water to replenish the energy spent during exercise. Quickly note your choice of breakfast in the form field below, to record your eating habits over time. The meal doesn't have to take very long (a bowl of cereal is better than nothing), but try to go for a healthier option. This will double-up with your exercise and both serve to set you up for the day and make you healthier with no extra effort! Family time is sometimes difficult to fit in with a full-time working schedule, but the morning is the time to do it. To start the day off right you need to spend time with the people you love. 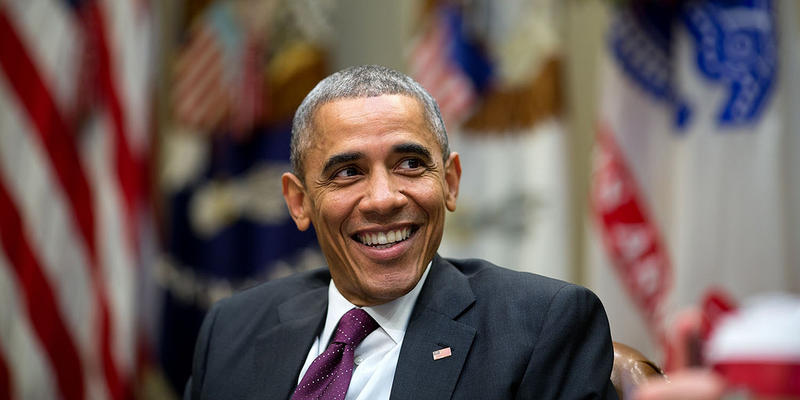 Much like exercising, successful individuals such as Barack Obama spend some quality time with their families every morning before starting work. In your case, consider at least having breakfast with your partner or children and offer to (for example) take the kids to school. If you live alone, why not give your family members, significant other or (failing that) close friend a call before starting work? There is no bigger halt to progress in your daily routine than purely wasting time - you need to at least have a rough plan of what you're going to be doing and how long you're going to spend on each task. Note this plan in the form field below. For example, duties which can be quickly cleared off your to-do list could take up the morning (or, at least, a couple of hours), whilst the bulkier tasks can take up your midday / afternoon. 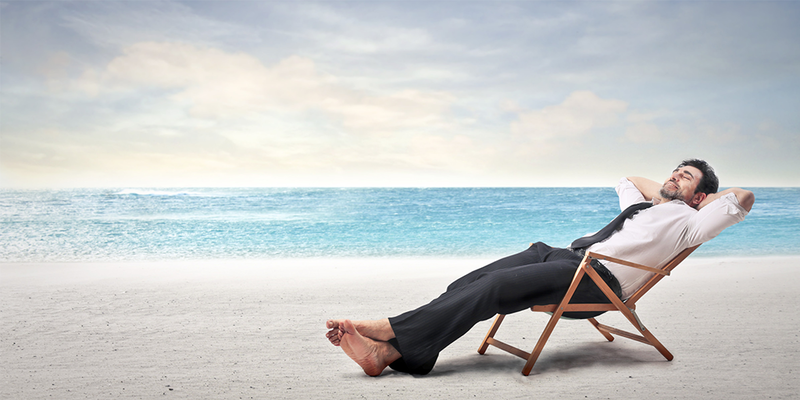 Once you have a list of what you should be doing during the day, you need to give yourself regular breaks. No-one can productively work full on for an entire day and not expect to see any drop in productivity. You need to give yourself short breaks in order to recover. 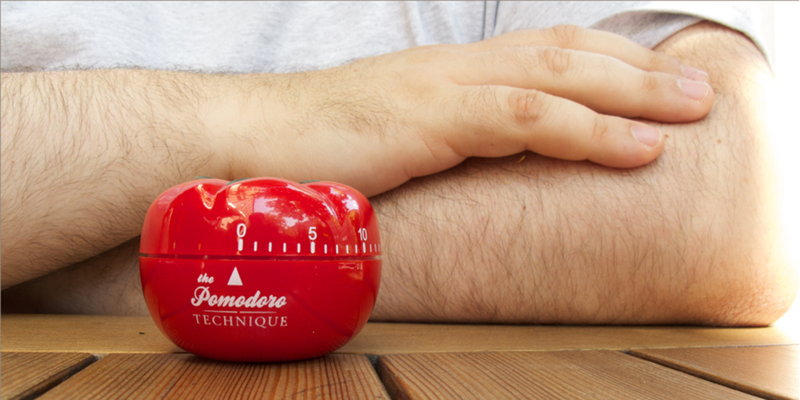 Do not take liberties, but consider taking a 5 minute break for every 30 minutes of work (the Pomodoro method, if you will). Completing tasks is an action which every human enjoys, and so you need to do everything you can to progress during the day. Sure, not every task is set out as per this checklist, with easy-to-tick-off boxes or even a quantifiable end. However, you will naturally feel much better about what you are doing if you can track your continuing progress over each working day. One you've completed your work for the day, spend no more than a half hour going through and planning your tasks for tomorrow. As with your daily plan, record this in the form field below - follow the sub-checklist to make sure that you remember everything! Do not worry necessarily about how you will handle a particular issue, or even the specifics of your activities. Instead, go through the big tasks which need to be progressed and any smaller upcoming issues which can be easily dealt with in the morning. Once your work is complete, you need to let go and unwind. This may sound incredibly simple, but your physical and mental health can be put through the gauntlet if you simply do not let go of your work at the end of the evening. If problems have arisen during the work day, do not worry about them so much that you lie in bed, wide awake at 1 am; it doesn't help anyone. Instead, just let go and unwind. Exercise, nurture your passions, interact with your family - do whatever truly makes you happy. After a day of hard work, and one complete daily routine checklist, you've earned it.